You are about to leave Omaha Federal Credit Union’s Web site. 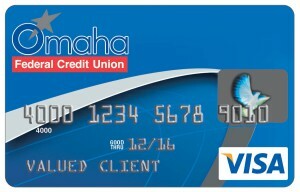 Any external site listed here ezcardInfo.com is not under the control of Omaha Federal Credit Union, and The Credit Union makes no representation concerning the content of this site, nor does a link serve as an endorsement by Omaha FCU of any site. Omaha FCU does not represent either the third party or the member if the two enter into a transaction. Thank you for visiting. Please return when you need information about Omaha FCU’s products and services.